Rejection hurts. It's never fun to feel like you aren't wanted. Having someone tell you that they're going another direction, that they just aren't feeling the relationship, or even the unspoken rejection that can happen in a friendship is just so hard. And it can destroy any self-esteem you had in the blink of an eye. I've been blessed. I have a great job I landed just out of college, a wonderful hubby who pursued me despite my hesitance, and some amazing friends and family. For a large majority of my youth, I skipped through life without encountering too much rejection (or without realizing that I had). My "worst" rejection had been feeling like a loser because guys never asked me to dances until senior year. But then, my freshman year of college came. I tried out to serve on the worship team at the church I attended. And they told me I wasn't what they were looking for. And it hurt. I had experienced a lot of success with singing in the past, and I felt rejected and disconnected from my hope at getting involved in ministry. I got over it. Then came the years of singleness in college, being turned down after final interviews for Mizzou '39, and being not quite good enough for people. But you know what? I learned a heck of a lot from it, and it made me a better person. And so many times, I was grateful for it in the end. 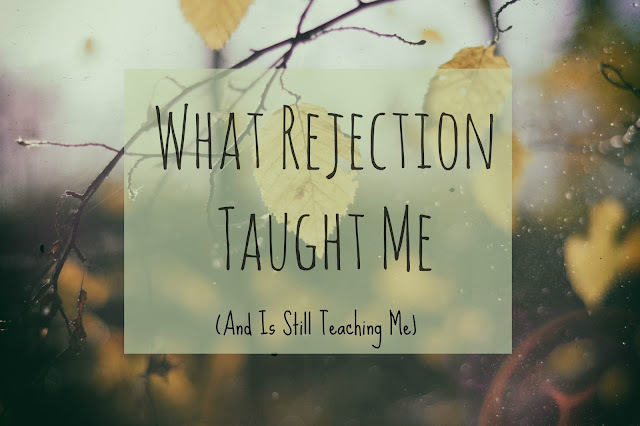 So today, I'm sharing five things rejection has taught me. It's not a bad thing for us to be humbled sometimes. When we let our success go to our head and define us, it can become damaging and we can become people we don't even know anymore. Every now and then, even in small moments of rejection, I get a gentle reminder that I need to remove the focus from myself and back to loving others and loving God. Sometimes the best things in life are things we have to work for. Hard work and determination, along with the ability to try again, often reap huge benefits in our lives (and provide even more satisfaction than simply being given something the first time around). It's no secret that I coached softball this year, which was a ton of fun, but you know what? It was the SEVENTH coaching job that I'd applied for. I'd been turned down six times before (sometimes interviewing more than once for the same position in different years), and honestly had kind of given up as I felt God must be calling me elsewhere. It took a heck of a lot of vulnerability to put myself out there again, make it to the end, and then be turned away. But I never completely closed the door on it, and lo and behold, here came this softball job kind of out of nowhere. And it was a blast! In some situations, we can't give up on things we truly are passionate about (just ask Aaron about how persistent he was in dating me!). 3. Don't take things too personally. When someone gives you a no, doesn't come through, or makes you feel unwanted, it's easy to get pretty upset. Too often, I've found myself feeling down when people don't seem to want to be with me or when I feel like my efforts at forming a new friendship are one-sided. But you know what? Dwelling on that and placing the blame on myself for something I really can't control or change isn't going to do any good at all. None. So in some situations, rejection has taught me to let go, move on, and channel my energy elsewhere, without taking it too personally. 4. If you always get what you think you want, you'll never know what you could've had. Case in point, I received a rejection letter from a school district the very day that I was hired by my own school district. If I would've been offered that job (at a district I didn't really want), I would have had to decide whether to take a job just have to have one, or take a chance, wait, and not necessarily have a job at all. Thankfully, the timing of it all was perfect, and I got offered a job at my now school the day I interviewed. I also think this has totally applied to me in the relationship world, as I was broken up with multiple times over the years. This hurt, but I would have completely missed out on the gift of Aaron if the breakups and rejection hadn't happened along the way. Sometimes we just don't even know what we want, and what we think we want isn't always what is best! Which leads me to my last point...and the biggest thing rejection is continuously teaching me. 5. God's plan is bigger and better than our own. Always. Amen to this one, again and again. Just when I think I have life all figured out, God goes and throws me for a loop. I am constantly reminded of how small and insignificant I am, and how big and wonderful He is. And I'm thankful that so many times, God is leading me down a path that involves rejection because He knows how much more He is saving for me. So when I worry about friends, or opportunities, or people saying they don't want me, I can remember that the most important person and creator there ever was (or ever will be) DOES want me. That He chooses me on a daily basis, despite my imperfections and weakness. And if a good, loving God wants me, then the rejections of this world really aren't all that big, especially when He uses them as a way to call me to the things HE has in store for me. And so, dear friends, I hope that you can relate to and learn from these ideas. I hope that they give you peace and comfort in times of hard rejection. And I hope most of all that you continue to find your worth in the Lord, and in Him alone. He is in control, and I promise that His plans for you are much bigger than you could ever dream. So hold on. You ARE wanted, and worth it, and known. Thanks so much for stopping by today! If you'd like to join our community, sign up for the newsletter here. I'd love to continue the conversation on our Facebook page, or in the comments below. Blessings to you! I always struggle with taking things to personally, but if you don't keep on trying then you'll never achieve what you strive for! You are so right, Alanna! Thanks for stopping by! Such a great reminder! You should write daily devotionals. I still don't embrace rejection as well as it sounds as though you have. Well thanks, Crystal! What a great compliment (and great idea). I would LOVE to write devotionals! Trust me, I am still a work in progress. It's easy to not feel these things initially, but I have to look at my past and see the ways that things have turned out in the end (and how they likely will turn out again). It's a daily process! Thanks so much, Lindsey! I went and read your post- loved it! This post is so great because I have been in a funk for a day or two now. I am still learning to let things roll off my back. It is kinda great that I visited your site and read this. Great post! I've experienced a lot of rejection. I do think that "everything happens for a reason," so I agree that when I don't get something, it means there is something better hopefully coming along! Amen to that, Becky! I think we sometimes assume that rejection means we are worthless, but that's so not the case! Such a great and inspiring post! Rejection is definitely hard, but your points above are spot on. It's easy to get caught up in the hurt, but you always have to remember that there is a good chance something better is ahead! Well thank you , Shannon! I totally agree with you- thanks for reading! Things came relatively easy for me when I was younger but it has been much more difficult a journey as an adult. 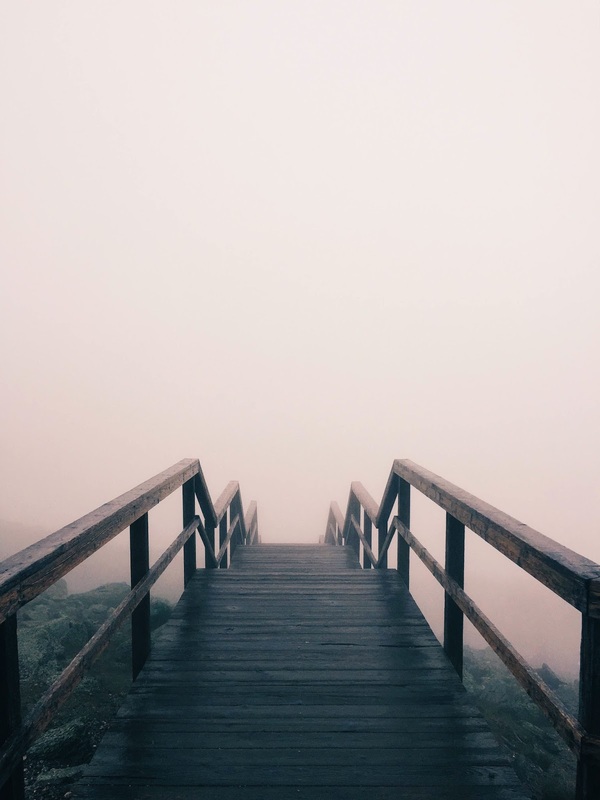 I was fired from a job I hated but it still hurt to be fired (even though it was a blessing). All those years of being single & alone made me a stonger, more confident partner for my husband when he eventually came along. Everything has been a stepping stone to a life that is so much better than I could have ever hoped for. All worth it. I'm sorry that you've gone through those times of hurt, but I love that you have seen how it all was a part of something much, much greater :) Blessings to you! I struggle with taking things personally as well... when I was in the military, I had to grow a very thick skin and I believe God used my time in the service to help me handle rejection with Grace and dignity because my identity was found in Him. These are great lessons, thank you for sharing! Sending love from the Blog Passion Project! Right there with you, Vanessa! Thank you for your service for our country- so awesome that you were able to seek Him first and show others grace and dignity. Thanks for reading! Wise words. There's nothing like adulthood to introduce you to the pain of rejection. I love #4; some of the best opportunities and experiences in my life have come after I faced rejection in something else. You are spot on there, Abby! Thanks so much- that's one of my favorites too! so many great lessons on rejection. I used to take rejection so hard as a kid, but as I've gotten older, I realize that it's less about me and more about other people or life's plan for you. Definitely agree that things turn out way different than you wanted, at times, but usually they come out way better than you could've imagined! Gosh there are so many wise words in this post, thank you for writing it! One year I decided to try out for my church's Easter choir and convinced my husband to do it with me. I had done choir through high school and was even chosen for All-State choir; my husband on the other hand didn't really sing but reluctantly agreed to let me work with him for the tryout. I'm sure you can guess where this is going- he got in, I didn't. that hurt SO bad, and I still wouldn't say I understand why, but all the lessons you wrote about above are so so true! Thanks for sharing your wisdom! Thank you Sarah!! That is SO hard. Totally can see how that would hurt you. Thanks for reading! Great post and great lessons.. so true. Number 5 is an especially great reminder (along with all the rest). I am such a planner, and though I haven't experienced much rejection yet, I know it will be hard to not let it crush me. Hopefully I'll be able to keep what you said in mind and keep up hope that God will help me do the things that are in His plan for me! Helpful lesson. Now I require some time to digest it. good words. thanks for sharing! It sure can be hard in the moments of the time to keep them in mind! Thanks so much, Charis! You are so right! Actually, most of the famous people wouldn`t be famous if not rejected at some point of their lives! Don`t ever give up! That's a great point, Sidney! Thanks for reading! Well Tai, thanks so so much!! I'm so glad and thankful that it touched you and you could relate to it- that's really one of my hopes here. Thanks so much for reading, God is so good! Blessings to you, friend! "If you always get what you think you want, you'll never know what you could've had" I love this point! It's so true. And a great way to really appreciate where you're at. Ah, I just love that one. Thanks so much, Alexandra! I think it's HUGE in helping me step back and realize that what I think I want just isn't always best. Thanks for reading!! The first (and only) time I ever got fried from a job was earlier this summer. I was mortified, devastated, and in disbelief. I had no idea how i cold have gotten FIRED when all my last employers loved me and I was always a hard worker. But about a month later I was offered the job where I currently work and now I wouldn't change a thing! I love my hours, the work environment, my purpose, everything! We can't always see the whole picture but God promises to provide if we trust in him. He as always given our family everything we need and I'm so grateful that he never leaves us in the dust. Great post Kelsie! What a wise post, Kelsie! I agree with you that we learn so much from the pain in life. In fact, I think pain is the greatest motivator for change! I love this part that you wrote, "And if a good, loving God wants me, then the rejections of this world really aren't all that big, especially when He uses them as a way to call me to the things HE has in store for me." I was "parked" by you today on Motivation Monday. Such great tips... lessons learned (the hard way)... and so much truth! #5 trumps them all in the end and yet it is so often the one we forget most often! Great post! (We're neighbors over at the Small Wonders link up! Thanks, Karrilee!! I think it is definitely something that we forget so many times. Great to have you as a neighbor- thanks for stopping by! Rejection definitely hurts. I'm guilty of taking is personally too often! Thanks for sharing this! It does for sure, Erin. Always a learning process to not let it be personal! Thanks for reading. I'm certainly guilty of beating myself up over rejection, but God always sends better things my way! He has a plan! I'm right there with you, Audrey! Amen! Thankful that He is in control! Ooooo, rejection just stings, but yes, once we look past the sting, or follow it down, there's much to learn. Welcome to the #SmallWonder link-up! It's so hard not to take rejection personally, but I love how you've twisted something negative into so many positives! I definitely need to learn how to take rejection well. I don't even take the word "no" well. I don't think there's ever been a moment in my life where rejection hasn't hurt. And it still does now, but I've learned the importance of it (the points you've highlighted). I've learned so much through it and gained so much as well. You are so right Liz! I think there is much to be gained from the hard times and the hurt. Great encouragement, Kelsie. It so true that God can often teach us our greatest lessons when things don't go according to our plans, but precisely according to His. Glad to be your neighbor at #testimonytuesday. Learning that it isn't all about me has been a huge part of my 20s. It's so easy to take rejection personally but turning our eyes to what God says about me helps a lot! Isn't that the truth, Catherine? I think it's hard to think that way at first, but when we do we can really see the positives of it! Thanks for reading. #5 - Jesus knows how you feel and invites you to bring your pain to him in exchange for His peace. That's a great one too, Karen! Thanks so much for the reminder and for reading! Rejection is something I have had to "get over' since I have always been a people pleaser. It wasn't until I read the book So Long Insecurity, that I started letting go of the hurt that a lot of rejection has caused. I am so glad that God never rejects us! You are right, God's plans are always better than ours. Oh yes, this is so hard for us people pleasers. Sounds like a great book, I may have to check it out! I am also so glad that the Father never rejects us. Thanks for reading! I have struggled with rejection most of my life, and also find my peace in knowing the love of God in my life. I fellowship with Jesus knowing the rejection He also experienced in His life, and centering my self-esteem in Him. I learn not to judge others but be able to give to them the love and help that God so freely gives to me. I have also been blessed with a wonderful husband and children, thanks to God's tender care, and look forward to a future time when the pains of this life will be over. It is so very hard. I love that point- that we can share that with Jesus and he knows our pain. Great point about judgment as well. Thanks so much for stopping by!! 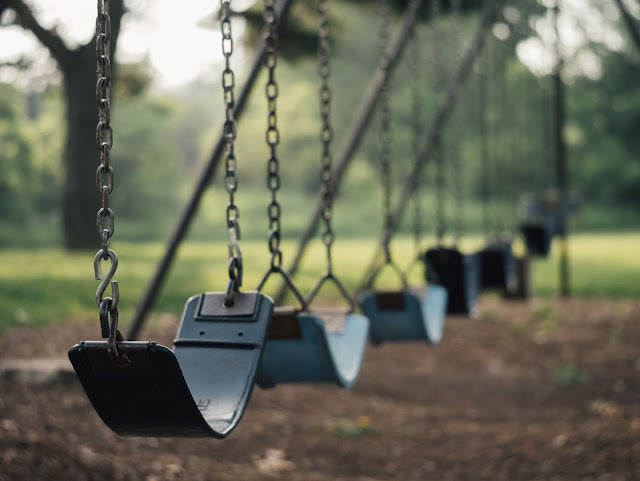 It's not so easy when you've been rejected and hurt over and over since a young child. From loved ones to strangers. Over and over. Even your husband. It seems that most of you can't relate to that. Hard to think positively when your heart is in constant turmoil and memories haunt every step. You bring up a great point. It is very very hard, and I'm so so sorry that you've had to deal with so much in your life. It is something many of us often take for granted. I'm praying for you right now, and lifting up your heart and memories. I'm sure it doesn't seem fair or right, and God's plan can definitely seem confusing along the way. Hoping and praying that you'll find strength and hope in Him, as He will never ever reject you, and will love you no matter what. If you'd like to contact me more privately, I'd love to help you if I can. Hugs and prayers to you. Kelsie, Reading this blog post today was very timely for me. I seem to be in a "season of rejection". Your insights were filled with much wisdom ultimately pointing us to our Lord and Saviour. Thank you for spurring me on. I can totally relate on this one. As a performer I get rejected over and over and over again. It's just the nature of my career! And while intellectually I understand that I won't always be the perfect choice for a role, it's hard to be told you're not the one they want. It's something I'm still struggling with. Thank you for the thought provoking post, Kelsie! I can see how that would be hard!! Thanks for reading! SO great! Rejection is hard but definitely a good life lesson just like failure!